Is your company attending an exhibition, trade-fair or event in Vienna, Austria? 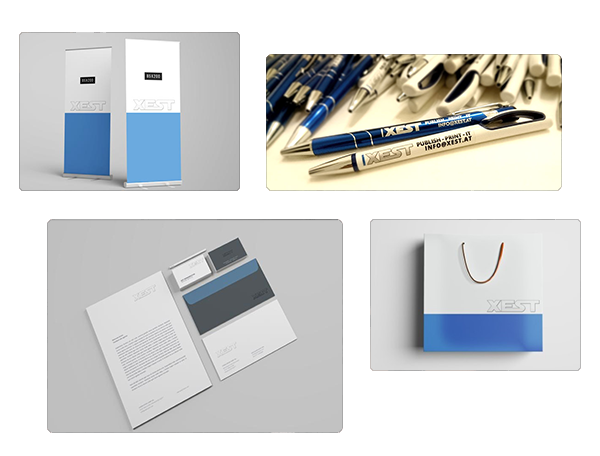 We produce Promotional Items! Is your company participating a trade show / expo / trade fair / exhibition or congress in Vienna? We offer a wide variety of fair & exhibition supplies! Does your company need a reliable printing partner in Vienna? Take a look at the advantages our services and products offer. In the following overview we explain how you can save time, effort and cut costs. We treat each customer individually, you are not just a number or a job in a fully automated system. Simply contact us at info@xest.at or give us a call at +43-1-33 275 88 – Our customer service representative will fully assist you in any questions and all further steps. Your contact person won’t change or switch during the whole process. We are available Monday – Sunday, 24h – also on holidays! We answer to all messages within several minutes / hours – don’t wait days to get a response! We tailor an offer for your printing needs and give you several options. Due to daily experience we’ll find a solution for you that fits expectations in all matters. Flexibility is an important topic for us - depending to your ideas and required timeframe an individual offer is generated. Why select us? What are the advantages compared to the domestic printing partner my company already has? Lean back and forget all those issues causing headache - Simply print locally in Vienna with us and receive a worry-free solution. [v] Personal delivery - We do not use any courier service! Our company personally delivers all orders! Is your company selling products to Austria and you need a reliable printing partner for your marketing needs? We offer printing services for all major events and exhibitions in Vienna in 2019. We deliver directly on-site. In case of high printing demand for events such as mentioned below, we additionally perform hourly consolidated deliveries to the event's location. Due to this we can offer attractive pricing and fast order handling.